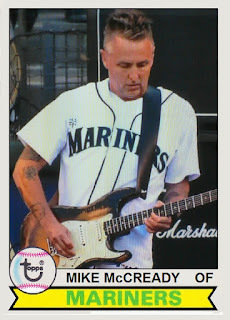 Musician Mike McCready was born in Pensacola, FL, but moved to Seattle as a youth. He is the lead guitarist and one of the founding members of Pearl Jam, who were recently inducted into the Rock and Roll Hall of Fame. 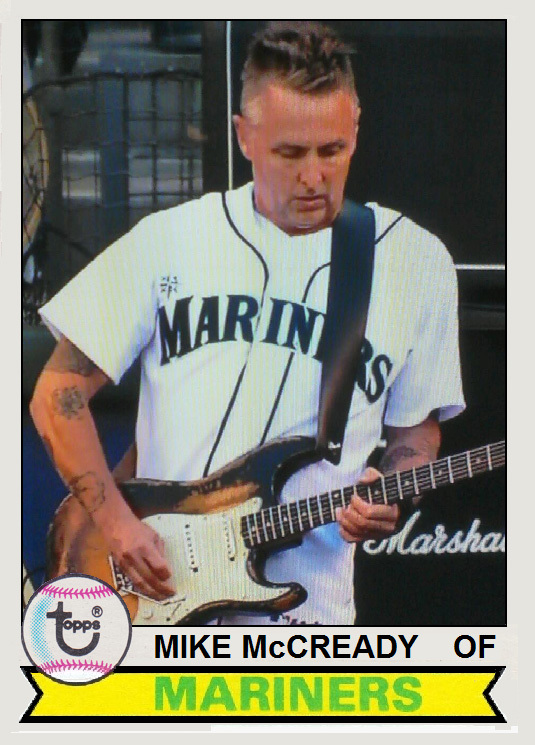 McCready stayed true to his Seattle connection by wearing the Mariners jersey, while playing the National Anthem at a game and earning a Celebrity Jersey card in the process. 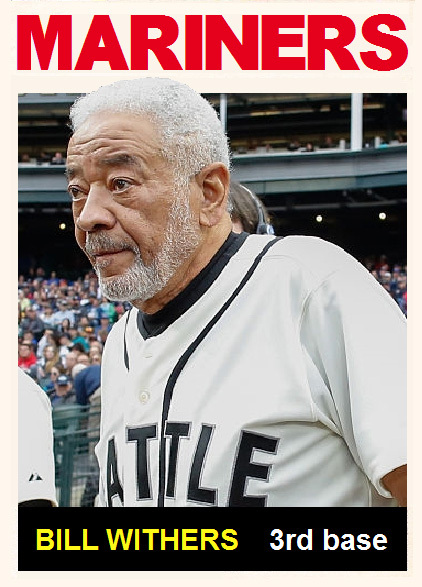 Bill Withers was born in Slab Fork, WV, one of the greatest town names I have heard. The musician has won three Grammy Awards and was inducted into the Rock and Roll Hall of Fame in 2005. 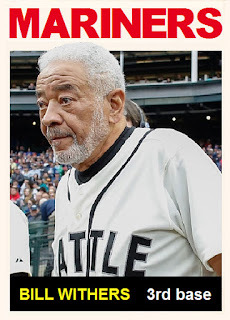 He went old-school for his Celebrity Jersey Card, which actually bends the time continuum, as the Mariners did not exist at the time of this card's release.